There will be three (3) inserts in this week’s paper- one (1) SmartSource, one (1) Red Plum and one (1) Proctor & Gamble (P&G). Remember it pays to buy the Detroit Free Press because they are the largest newspaper in the state. 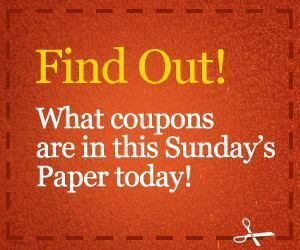 Which means you’ll receive more coupons.